Ethical Living: The Poodle Parlour is coming to Peckham! 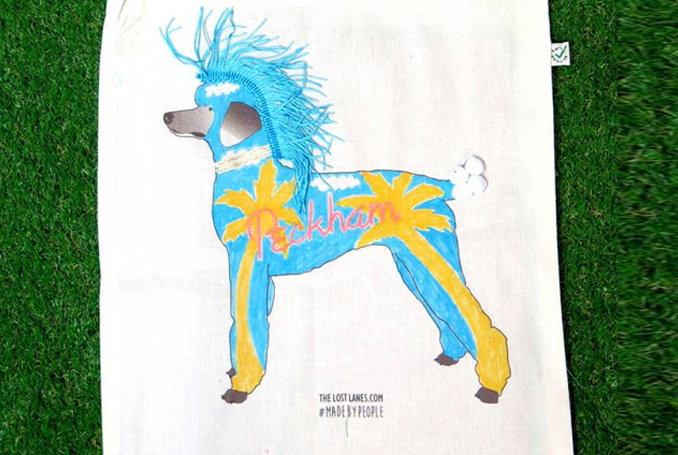 The Poodle Parlour is coming to Peckham! The Lost Lanes is heading to Peckham on the 10-11th October 2015, we have teamed up with our seriously creative friends over at Garudio Studiage to bring you The Poodle Parlour Workshop. Here you'll have a chance to do up your own screen-printed, ethical poodle tote bag. Pimp up your tote bag using some of our ethically sourced trimmings, salvaged ribbon, felt made from recycled plastics and fabric pens amongst other embellishments. You’ll be able to make something completely unique that you’ll be proud to carry around with you. The Poodle Parlour workshop is taking place at the Crafty Fox Market at the iconic CLF Art Cafe, Bussey Building, 133 Rye Lane, Peckham, SE15 4ST. The Market opens from 11am to 5pm and we'll be there all day, so please come over and say 'hi' it will be lovely to see you!